As you have read we have been working on the house so we can put it up for sale. It is taking a long time because aside from all the painting that I completed, the rest of the jobs are pretty big and I can’t do them alone. David works out of town and we have to tackle the big jobs on weekends while David is home. I am happy to report that the inside of the house is showroom ready. So now it’s time to start on the outside. The first order of business was to take down the pool. We could have left it I guess, it is definitely a nice BIG pool that is only a couple of years old, but we thought it would put buyers off as a liability. So that was on the list for this weekend. First, I unscrewed the top caps and started to remove them. I was very careful for fear I’d find a creepy crawly or a spider, but surprisingly they were really clean. I said to myself, “piece of cake” and began just to zip them off. Then I unscrewed the last one and it was full of straw and I saw something pink. For some reason I thought to myself….SNAKE!!!! !…and I flung the cap across the yard! 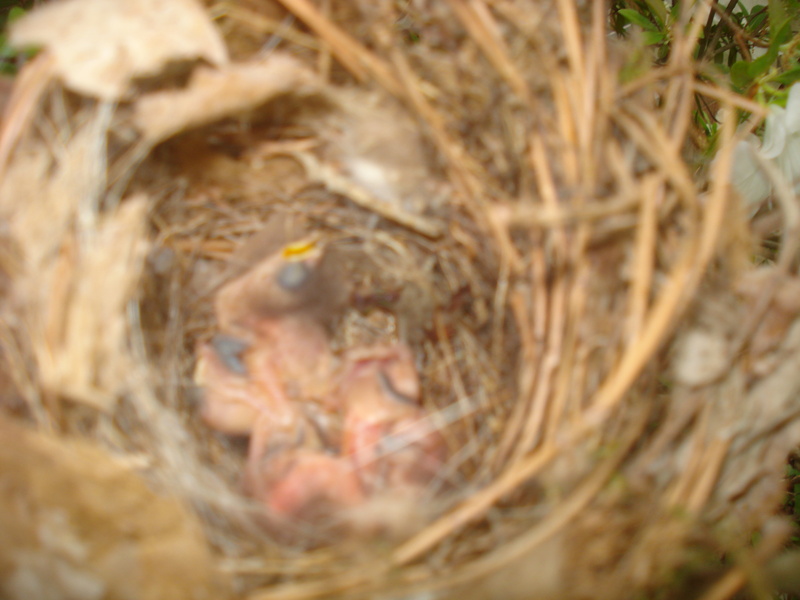 Well, come to find out it was a bird nest with 5 baby birds and 3 of them were laying in the yard. I felt terrible because I just knew that I had killed them. Thank Goodness they were still alive. 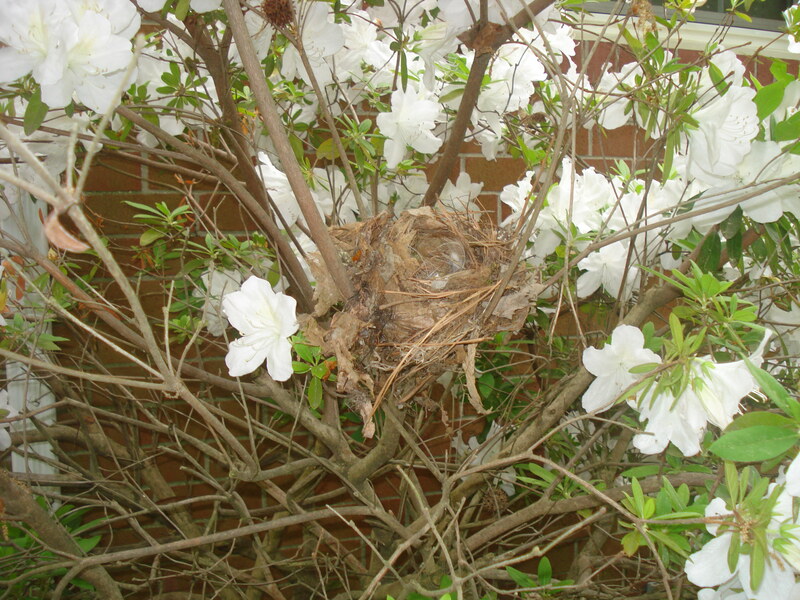 Alana and I wrapped grocery bags around our hands and placed the babies back into the nest and put them in our flower bush. I sure hope the mama finds them. Here’s a picture of the babies. They were moving all over the place…I hope that’s a good sign? Here is their new home. I hope your birdies will be OK! 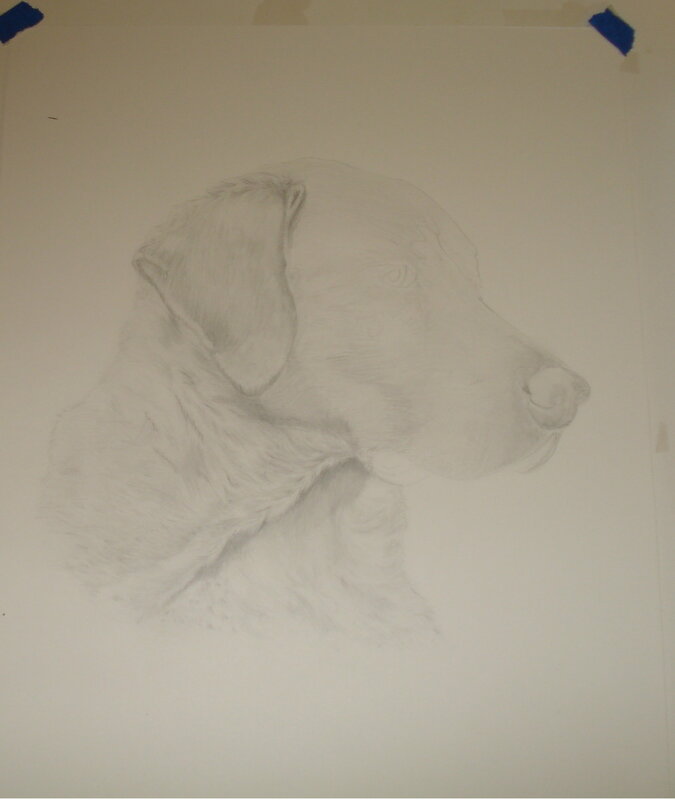 Nice work on the retriever, he looks lovely..I hope all the work is nearly finished on the house too, it sounds as though you need a rest. Beautifull web-site..great art.Also thanks for mentioning me on your web-site about the Jerrys artarama free art lessons. Try to go to the Art in the Carolinas in NOV.